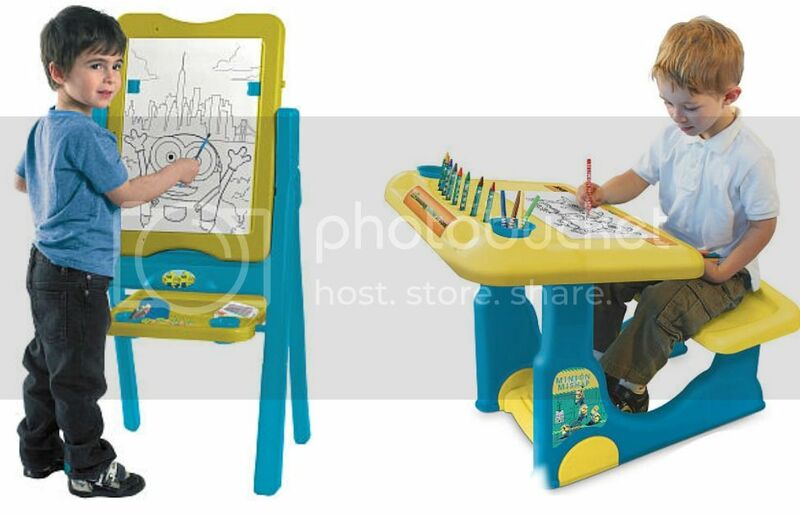 Step2 Flip and Doodle Easel Desk with Stool now is on sale for $59.97 (Reg. $89.99) with free shipping. 4.5 stars reviews for this set. 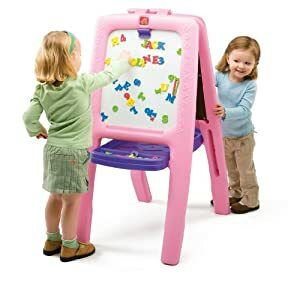 Work surface is 13" x 20"
Step2 Pink Easel for Two 这个是两面用的，一面是可擦写的白板， 另一面是用chalk的黑板。 附带77个 magnetic letters, numbers and signs。 有大夹子可以夹住画纸，在上面作画。原价$69.99, 现在打折$39.97 with free shipping. 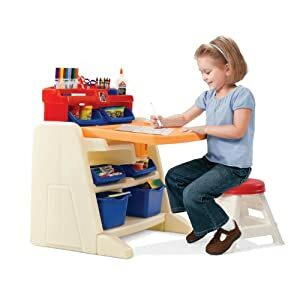 Target this highly rated Step2 Flip and Doodle Desk and Easel with Stool for just $47.99 shipped – BEST PRICE! This desk features a magnetic dry-erase board, molded in trays for markers and pencils, cup holder, stool, a rear storage area for books, two large bins and two small bins! Target this ALEX Toys Artist Studio My Art Desk 降价后 for just $59.99 shipped (BEST PRICE). This desk features an adjustable table top surface that can be used flat or at an angle, a chalkboard surface, 4 recessed cups, paper roll and more! Amazon 现在 this highly rated ALEX Toys Artist Studio Ultimate Easel Accessory Set for only $10.53 (regularly $29.99). This 26 piece art supply kit includes 4 poster paints, 4 non-spill paint cups, 4 brushes, a 75 foot long paper roll, 10 colored chalks, a chalk eraser and 2 whiteboard makers! Note that you must enter your Rewards R Us membership number at checkout in order to receive your reward and the $5 Reward will be sent via email on or around 12/3/16. Walmart.com now you can buy this Office Impressions 48″ x 36″ Dry Erase Board for only $31.99 (regularly $65). Choose free in-store pick up. This mounts either horizontally or vertically and is ideal for any office, school or home! 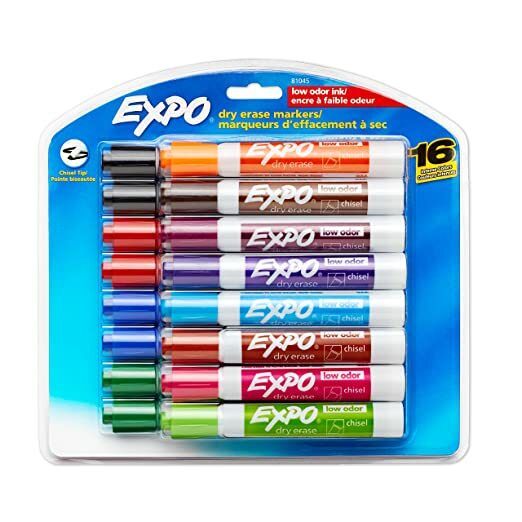 Walmart.com now they have dropped the price on this highly rated Crayola 3-in-1 Double Easel to only $18.74 (regularly $34.92). 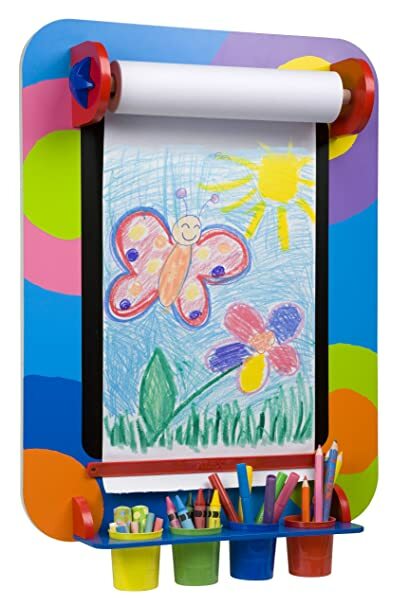 This easel can be used as a dry-erase board or chalkboard, plus features a large clip to hold paper! Walmart.com now you can get this Board Dudes 22×18 Dry Erase Corx Magnetic Board for only $8.82. Free in-store pickup. This board is perfect for any homeschool classroom, dorm room, kitchen or office and features a black modeled frame design. The edge features Corx which is perfect for tacking on photos or important papers. 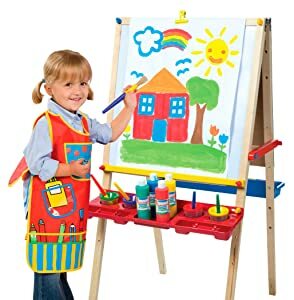 ToysRUs.com now you can get this Step2 Great Creations Art Center for $79.99 (regularly $99.99).FREE in-store pickup. The kids art center features an art desk and a double-sided art easel. Plus, it has built-in trays and an art caddy so your little artist will have plenty of storage space for all their supplies! 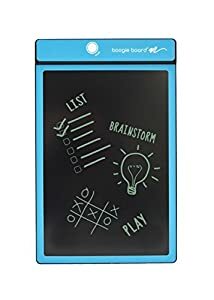 Amazon.com now you can get this Boogie Board LCD Writing Tablet for only $15.99 (regularly $29.99)! The perfect size to throw in your purse, briefcase or backpack, the pressure-sensitive writing surface creates lines of different thickness based on how hard you push just like paper and pen! Use the included stainless steel stylus or almost any other instrument including your finger and then just erase your image with the touch of a button!